So last year turned out to be really good for the YFS household. How good? Well I’ll let you decide. That is some serious net worth gain! So what happened? How did we increase our net worth by $124,353.11 or roughly 100% in one year? It all started with our spending plan. I have this crazy idea that we should only live off one income and use the other income for business purposes. This has paid off amazingly well, but something also happened. Between the both of us we managed to squeeze 30K in pay raises out of our day jobs. The reason why I say day jobs is because aside from running our own businesses we have paying w2 jobs. With that 30K we were able to do some things to substantially increase our net worth in 2011 and pay off some debt. Paying down debt does not increase your net worth, but it frees up capital so you can hopefully increase your net worth in the future via sound investment. As many of you know we purchased our home as a foreclosure for a steep discount. Well, the crystal ball I used to buy the home in January of 2009 finally paid dividends. When I refinanced the home from a 30-year to a 15-year mortgage in September the appraisal came back surprisingly high. That makes our primary residence attributable for $37,000 of our net worth gains. Aside from our primary residence we have 2 rental properties. One property we purchased in 2010 and the other we purchased September of 2011. We purchased both of those properties in distressed sales and made the much-needed renovations to get them ready for rent. We use the buy low, rent high mantra. Yea yea yea I know that’s not the saying, but it’s my little twist on it. Anyways, by fixing the properties they were able to appraise a bit higher too. Rental property 1 added $12,000 to our net worth. Rental property 2 added $27,700 to our net worth. The cool thing about our rental properties is that they pay out high margins for relatively low risk. Property 1 pays us $925 a month in rent with debt services of $130. Property 2 pays us $850 a month with a debt service of $130. What we do is buy distressed properties, fix them up and rent them to section 8 tenants. In order for our real estate empire to work we have to perform the right fixes and buy in the right neighborhoods at the right prices. We can only pull 70% equity out of the properties so the properties *must* appraise or our real estate plan isn’t self sufficient which will require us to use personal funds to accumulate properties. This is no good! So, each property must pass our cash flow analysis test and our potential for appraisal test before we even think about a deal. The market was kind to us this year. Sometimes it’s up and sometimes it’s down but our market returns added $22010.15 to our net worth. The most exciting thing about these type of returns is that that we won’t need the money for almost 40 years! The longer the holding period the better chance at seeing positive results from the stock market. Last but certainly not least is that we saved money in 2011. We have $25,642.96 sitting around in our various cash accounts. I think this pretty good if I factor in our ridiculous cash outlay of 2011. We had a few things that just didn’t help our networth at all. Could we have saved a lot more money and increased our net worth even more? With out a doubt yes! We could have not loaned our businesses money and padded our stats. Also, our discretionary spending is off the charts to some. We are far from a frugal couple. We definitely did budget in a lot of fun stuff in 2011, but we are well on our way to exceeding our goal of millionaires by 40. Once our we start drawing a paychecks from business income we probably can meet our millionaire goal by 35. At this time we reinvest all income to grow our businesses. In 2012, I see much of the same in terms of net worth gains. We are scheduled to buy 4 rental properties and save/invest even more money since we are not saddled with 1K in monthly car debt. Since, we have a 15 year mortgage instead of a 30 year mortgage we also should see a bit more gains on our primary residence. If we can keep the unexpected expenses down we should be well on our way to another record net worth year. Reader Actions! How much did your net worth increase from 2011 to 2012? Where could you have done better? Seriously inspirational, YFS household! Well done! My Net worth dropped in 2011. For sure getting it going the right way again in 2012. Well done. I am in the process of turning a corner so hopefully 2012 will be a year of improvement. Wow! That's impressive! I don't think my net worth increased much at all in 2011 since I was doing AmeriCorps most of the year and not earning much. I think I could have done a little better with side income towards the end of the year, but I was really just getting started and didn't know exactly what I was doing most of the time. Awesome awesome results. Extremely encouraging! I'll be calling for services. I need to get like you! Ok, I think a family meeting is in order for my household tonight. We will be reordering the 2012 goals. Not my too much though, we are on a good path. I am just trying to make it a great path. Thank Kevin, we are still young and working on our plan so hopefully 2012 and beyond we can keep increasing our net worth. What happened 2011 to cause a drop? What do you mean by turning a corner cashflow? At least you have a plan and know you can gain more income on the side if you work at it! What is you detailed plan for increasing income? LOL Ceph you have all my contact information call any time. I love helping family! Good job on calling a family meeting to reorder your 2012 goals. The key is multiple meetings. We try to have a talk at least once a month to go over our spending plan and goals to make sure we are making progress. If we are off course we make the necessary adjustments. What are some of your high level goals for 2012? All I can saw is WOW! Congratulations!! I love real estate and think it's one of the most important ways to increase net worth. My dream is to do what your did – buy distressed properties, renovate them and rent them out (the ultimate passive income, in my opinion). To answer question, I'm not sure how much my net worth has increased this past year. I haven't had my property appraised, but I think it may have appreciate by roughly $10,000 in 2011. My biggest accomplishment this past year however, was paying off $34,000. Can't wait to hear about the 4 new properties! Congratulations on paying off 34k in debt. That's a major accomplishment. How much monthly income did you free up by paying off the 34k? What are you goals for your new found capital since you don't have to use it to service debt? It was quite expected. Went back to school to improve my skills and have been paying bills out of savings. My stock investments were also not very kind to me in 2011. Getting back into the workforce full-time this year will definitely get me going the right way again. In a brief meeting w/ the hubby over lunch, it looks like we will have 1 car and 2 credit cards paid off by the end of june. Then we will be prepping for the home purchase in july. we're using a VA loan which doesnt require a down payment but will be putting at least 5% down anyway. The biggest goals right now are mainly the home, finish knocking off the debt, & then looking into investment opportunities. When you say went back to school to improve your skills what do you mean? Is this B-school, masters degree, bachelors? Also, what do you think the return on investment would be once you complete your education? Did you quit a full time job to go back to school? Lose a job then went back to school? Why are you only working part-time? I'm curious if your VA loan doesn't require a down payment why put down 5%? Why not just use the down payment money to eliminate debt and free up some monthly capital? Real estate over here though hasn't taken the tumble it has in the States so there aren't quite the opportunities. All the same we did pretty well over the past couple of years paying down our negative wealth by something like $100k so it can be done. Good job in paying down 100k of your obligations! How did you do in 2011? Congratulations! Real stories like this are highly inspirational! Thanks! Renter insurance does not add to your net worth. If anything it will mainly replace assets if lost. You're right paying down debt does not increase your net worth but it gives you more capital to increase it in the future. For example, if you have 30 in cash (asset) and 30k student loans (liability) what is your net worth? The answer is 0. If you use the cash to pay your student loans you will be left with 0 in cash and 0 in student loan debt, but your net worth is still 0. What you gain by paying off debt is increased month cash flow since you don't have to use incoming money to pay off debt. You can now use this money to increase savings or investments. That is truly incredible. I predicted back in 2009 that there would be people that made some serious gains as a result of the terrible market collapse. Here are the results! Being a landlord is not my cup of tea, I'm looking to increase my online income in the New Year and have gotten into some interesting local SEO circles. My wife is in school for two more years, and we're still saving 30% of my net income, so I'm assuming that when she starts work, living off of one income shouldn't be that difficult for us (allowing for a little lifestyle inflation based on my raises). Keep it up! You're an inspiration. I would like to double my networth in 2012, but that is easy to do when it is low. 🙂 Nice work on the rental properties. Pretty remarkable YFS! Ours went up about $84k or 72.5%. I would love for it to go even higher but babies do cost money! Mrs. SPF won't have as much income next year as 3 months will be reduced pay while on leave. Being a landlord is not my cup of tea either that's why I hired a property manager lol. Our real estate business only requires my attention for 30 minutes a month. The only time it gets busy is when we just buy a new place and I have to get all the documents notarized. Aside from that I'm chillin' and collecting a check. You're doing great by saving 30% net income you're already ahead of the game. What is your plans for investing and making more money off your savings? I've never heard of SEO circles. Do my mind elaborating more on that? Thanks Corey, what's your plan for 2012 to double your net worth? Great job man! 72% is an amazing feat. You're right about children they definitely take a lot of income. But, I'm sure you can replace with a few side hustles. Gotcha.. Man that's a nice perk to have. A company providing 5% of your home purchase. That is incredible! Ours went up less than that, but we did manage to save close to 50% of net income which I am happy about. Wow, that is impressive. Our net worth is more or less flat in 2011. A little depressing because we added a bunch of contribution to the 401k. Great job on the properties. its not a normal benefit. it is a special circumstance for which we are entitled to this. Question. When you say "Property 1 pays us $925 a month in rent with debt services of 130 dollars." What does debt services here mean? Does it mean the mortgage is $130/month? If so, you got a really great deal. The property price here is still mostly flat/down. Saving 50% of net income is the way to go. I'm sure you had a huge % gain in net worth by saving that much income. Did you throw the 50% of your net income into savings or did you invest some of it? Hmm.. if you added a lot to your 401k and you turned out flat that sounds like you experienced some losses in your retirement accounts. Am I right? How is your portfolio currently allocated between equities and bonds? Debt service means mortgage or in my case a HELOC on each property. It cost us 130 dollars a month for the HELOC. Oh we got a steal.. but then again not many landlords would go into the inner city for their rental properties or cater exclusively to tenants who rely on government assistance. Wow, congratulations. You and you family deserve an applause. Increasing your networth is a huge accomplishment. I know kids cost money but I still think they are worth it. You can always make the money up some other way. Our networth steadily climbs every year which means we are headed in the right direction. I haven't calculated at what percentage though. I am now curious. Thanks Miss T! My goal is to focus on increasing net worth year over year. That's how I know we are going in the right direction. It's a conservative approach. If I reduced the debt principal by $5000, that to me is better than saving $5000 and leaving the debt at the same level. Market gains are nice to have, but you shouldn't count them as part of your savings goal. If your home rose from $200,00 to $220,000, it doesn't mean you should now save $20,000 less. WOW!! very nice gain YFS, you're really ahead of the game and I'm jealous haha. Most of our income are use to paying off debts so hopefully we'll be able to catch up on our Net Worth. Thank you! Good job on paying down debt! What are your 2012 net worth goals? Gotcha. I use the traditional approach to calculating net worth. Once I find my true net worth I may use additional constraints to identify areas to work on. See 36% isn't bad. The key is to use the same calculation every year so you accurately catch your net worth. The only thing I do not count in my net worth calculation is the value of my cars. I know I can increase my worth by claiming my cars but for some reason adding a car into the mix is bull crap. The only exception to my car rule is if the car is a classic. I think this is the most impressive result i've seen blogged so far, awesome job! Great job on doubling your net worth! Looks like we both gained 100%. What are your plans for keeping the momentum in 2012? Actually we are up about 10% on the whole. The net worth was flat since March 2010. That's why i made a mistake earlier. Yes, I lost money in my 401k, but other investments and Mrs. RB40's account helped pull the whole net worth up. whew! Why did you say that paying down debt down't increase your net-wealth? What formula do you use to calculate it? Eliminating debt doesn't increase your net worth because you will have to use your assets to essentially wipe out the liabilities making it a wash.
For example purposes say a person has 30k in car debt and 30k sitting in a bank account. What is their net worth? What paying down the debt will do is allow you to substantially increase your net worth in the future. 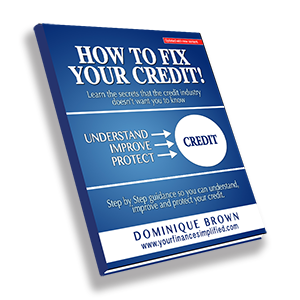 You no longer have to service those debt obligations leaving more for savings and investing. Congrats very good job. I am intrigued to find out my situation. My net worth only increased by 11% from last year and it was interesting to calculate because it felt like I had saved more! Thank Ginger! I think you should calculate your net worth. You should always at least know where you stand regardless of how you perceive the situation to be. By knowing where you stand, you know where to start. What is your game plan for handling the student loan debt and mortgage? Your loan costs $130 per month, but how much are the other expenses? You need to pay homeowner's insurance, pest control, property management fees, and (presumably) water and trash pick-up (if its customary for a landlord to cover those costs in your neighborhood). Then there's also the 'average' (spread-out) maintenance costs. What are your total monthly expenses for the rentals? You mentioned "each property must pass our cash flow analysis test and our potential for appraisal test" — could you please describe (in detail) how you evaluate that? I'm doing the same thing (buy low, rent high) and I'd like to know what criteria you use. I have a rental property cash flow analysis post cued up which explains this in depth. good work! It makes my "renting" mindset want to reevaluate. What do you mean by your renting mindset? oh, "rent until I'm completely out of consumer debt, then maybe think about buying"
That makes sense especially if you can rent for cheap. Nothing wrong with renting. Buying a home is a lifestyle choice. My net worth would be higher if I didn't buy my primary residence. There are tons of hidden costs involved with owning a home that don't make it into the media. Nice job! IF you keep up your rate of increase, you will be a millionaire in just 2.5 years! Another great sign for the economy.